Legrand today introduced a new Radiant wall plate with a Qi-certified wireless charger, compatible with the iPhone 8, iPhone 8 Plus, and iPhone X. 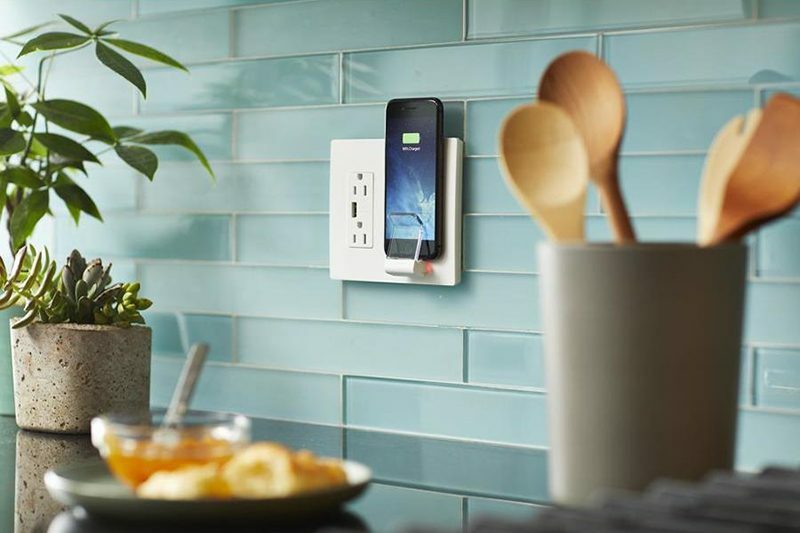 The wall plate includes a double receptacle on the left side with a built-in USB-A port, and a wireless charging pad with a holder for smartphones on the right side, with an overall 3.1 amps of power for charging capabilities. A small LED light at the base of the charger indicates the smartphone's charging status, showing red while charging and green when charging is complete, but this feature isn't compatible with iPhones. Legrand describes the wall plate as the first product of its kind to be released, providing homeowners with a convenient way to charge their iPhone or other Qi-certified device in the kitchen, bedroom, or wherever it is installed. 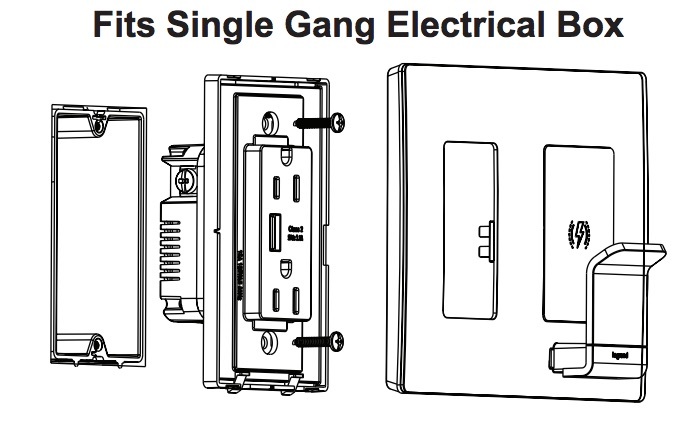 For installation, the wall plate is designed to replace any standard, single-gang box using existing electrical wiring in a home. The wall plate is available in White, Ivory, Light Almond, and Black at select retailers across the United States, including Lowe's and Fry's Electronics, for around $65 to $70, but prices vary. It's also available in Canada. Now that Apple settled the wireless charging standards war, we’re going to see Qi blow up everywhere from in wall sockets to cars, from desks to lamps. It’ll be ubiquitous and it’ll be cheap. This $70 box is trying to cash in early. Variations of this will cost $15 at any hardware store within a year. All this stuff seems like an awful lot of extra work, expense, and over-engineering to avoid simply plugging in a cable. ahhh, that's what those bold letters meant. I honestly read the first three paragraphs and looked at the breakout picture. totally MISSING that part. what a buffoon I am. Am I missing what's convenient about this??? "IT'S WIRELESS" but like, only if you mount your phone to the ***** wall. TBH, I'd rather there be a wire at that point. Looks like this only needs a Single Outlet Box...and the right side is simply a "shelf" area wired to the left Outlet section. I love the idea and I love the concept, but $65 to $70 is OUTRAGEOUSLY too expensive for this. Sounds very convenient to me. Hate having a charging adapter and cable plugged in the kitchen... it gets in the way and doesn't hold up too well. I'd love to pop my phone in this holder and be able to see recipes and listen to podcasts/music without having a cord in the way (or something spilling on my phone! ).